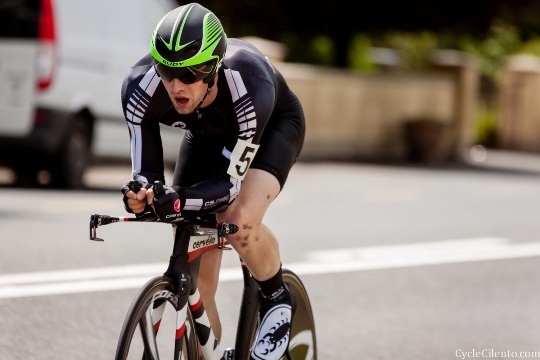 Donegal Bay Cycling Club hosted the Ulster 10 mile Time Trial Championship on Sunday 19 July 2015 on the N15 course in South Donegal with the start/finish area in the shadow of the iconic and beautiful Barnesmore Gap. 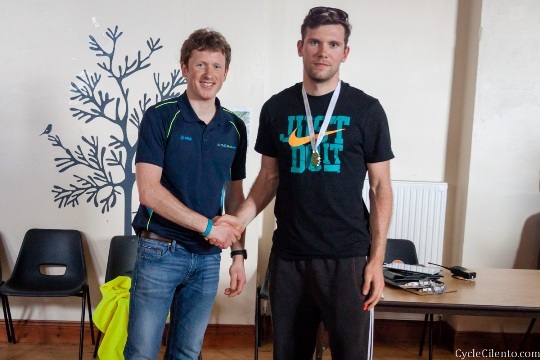 The young and progressive Donegal club took on the mantle of hosting their first ever provincial championship and ran a very well organised event. Luckily the heavy rain of the last few days gave way to an outbreak of sunshine which was a welcome turn of events for competitors, organisers and spectators alike. 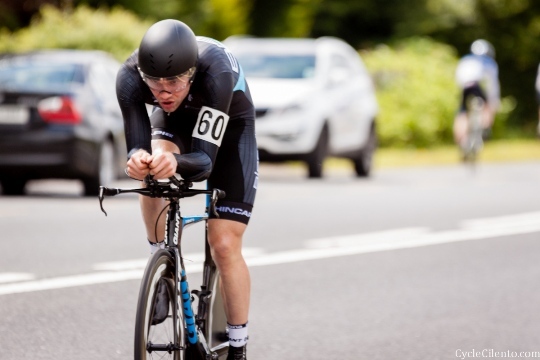 The contest for the Senior mens title proved to be a very tight affair this year with defending champion Marcus Christie (Bissell ABG Giant) just pipping Patrick McKenna (Emyvale CC) by the narrowest of margins, 1 second. 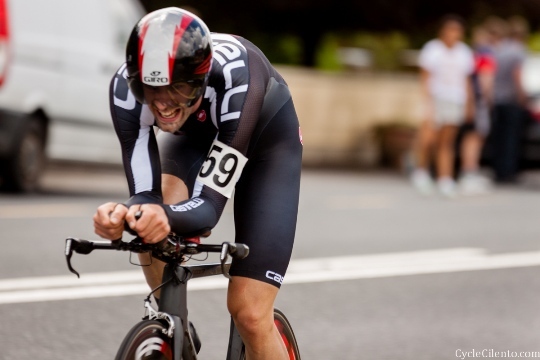 The winning time was 20.02 with McKenna 20.03 and Sean McIntyre (Caldwell Cycles) 20.19 not far behind in third finishing just 17 seconds down on the winner. 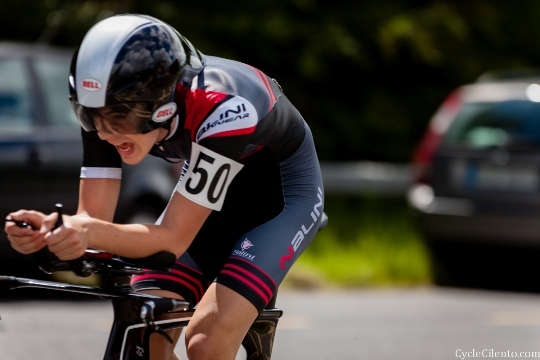 In the ladies Eileen Burns (Ballymena CC) was a clear winner with a time of 22.45 ahead of Evan Bartley (Lakeland CC) 24.54. 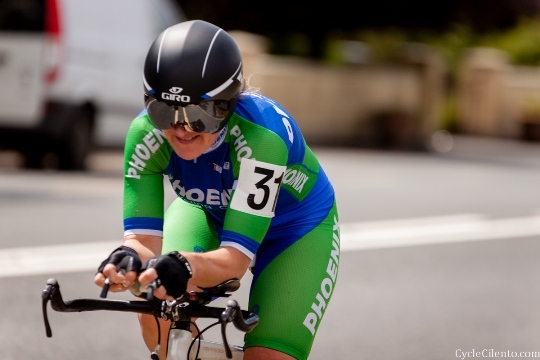 Judith Russell (Phoenix CC) took the Masters title with second fastest time overall 24.11 with Clare McAvoy (Ballymoney) 24.59 second and Ann McFarland (East Tyrone) 25.18 in third. 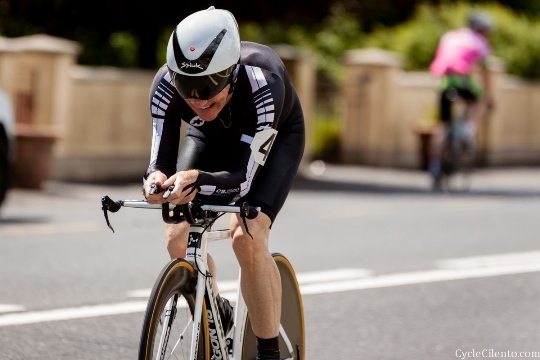 There was three Masters categories on the mens side with Martin Sherry (Emyvale CC) 21.23 taking the Masters 40 title from John Rafferty (North Down) 21.50 and Barry Hayes (Island Wheelers) 22.03. 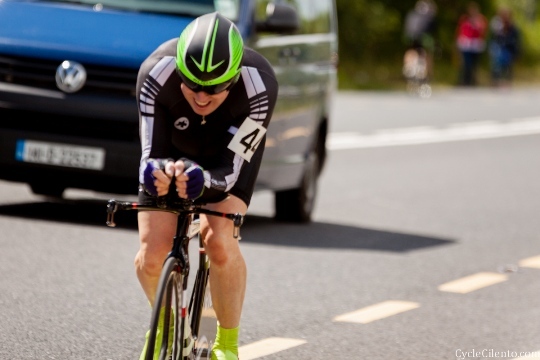 The Masters 50 also proved to be a very close affair with Donegal man Kevin McCrossan (Four Masters) 23.09 taking a narrow 3 second win over Martyn Jones (Maryland Wheelers) 23.12 and Brendan McCourt (Northern CC) 23.21 not far behind either. 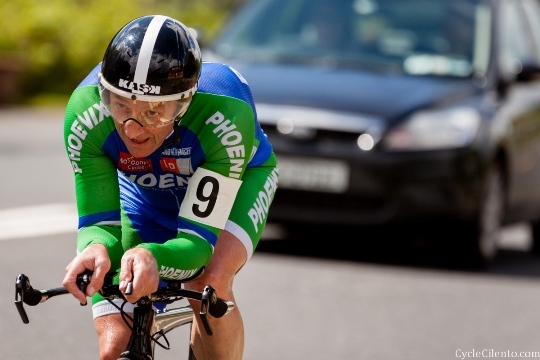 The evergreen Sean Hargan (Phoenix CC) set a fantastic time of 22.32 to take the Masters 60 title from Dominic Drumm (Bann Wheelers) 23.20 and Pat Dunnion (Finn Wheelers) 24.59. 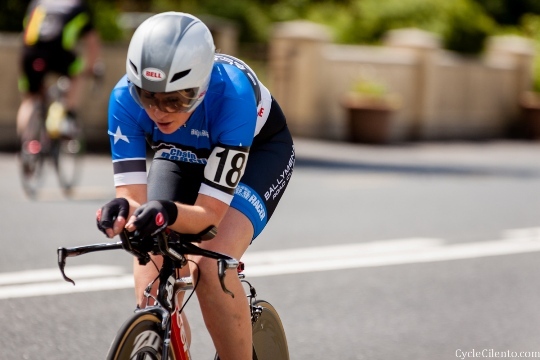 In the Junior category it was Breanainn Harpur (Omagh Wheelers) 22.56 who took the win from Brendan McCavana (Ballymena CC) 23.16 and Jody Evans (Spires CC) 23.23. 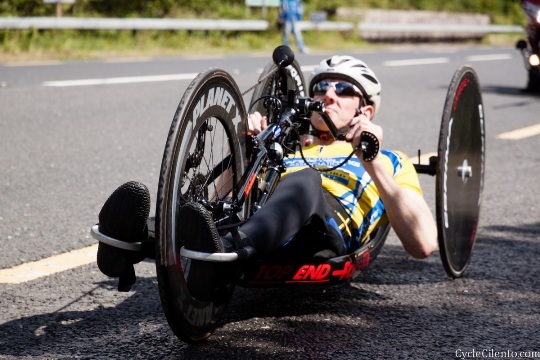 Darrell Irwin (Ulster Hand Cycling Association) took the Hand Cycling title. 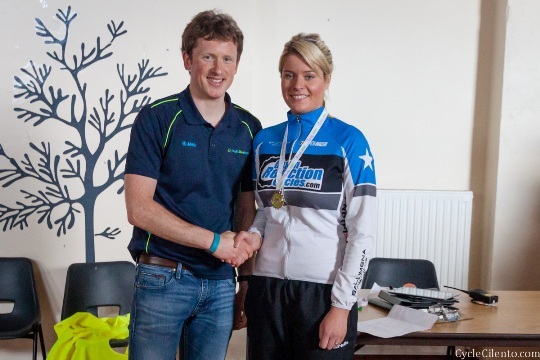 Thanks to everyone who attended and to the commissaire for the event Paul Devenney.